Listen Up! 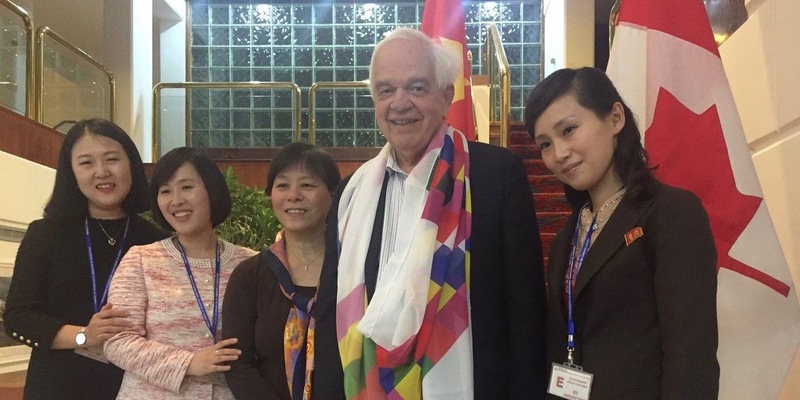 Were John McCallum's comments on Wanzhou's arrest part of a wink-wink strategy? You are at:Home»Commentary»Listen Up! Were John McCallum’s comments on Wanzhou’s arrest part of a wink-wink strategy? Listen Up! Were John McCallum’s comments on Wanzhou’s arrest part of a wink-wink strategy? There is a lot for which I can forgive Justin Trudeau. After all, he is our Prime Minister. But I draw the line when he screws around with my weekly column, which he did in spades late yesterday. Everyone who writes on a regular basis knows you don’t just sit down at the keyboard and tap out a thousand words or so. You have to think about it, often for a long time. Then, once you have picked your topic, it takes research to gather enough material to write about. Then, you have to figure out an angle that will interest your readers and stimulate their corpuscles. Sometimes they agree with you and sometimes they get really teed off. Stir things up. That is the object of the exercise. So that’s what I tried to do this week. I saw some comparison between how Donald Trump and Nancy Pelosi were dealing with the lingering government shutdown in the United States and how the Canadian Government was stickhandling its precarious relationship between the two largest trading partners in the world, the U.S. and China. This particular problem arose of course, because the American Government asked Canada to arrest Meng Wanzhou, the Chief Financial Officer of Huawei, China’s mega telecom company, and hold her for extradition. I actually thought Canada, who was clearly between a rock and a hard place on this one, had a pretty neat strategy. On the one hand, it cooperated with the United States, citing the rule of law and agreeing to hear the extradition case against Wanzhou. On the other hand, I thought they were sending a wink, wink message, to the Chinese Government, through John McCallum, Canada’s Ambassador to China, that the rule of law also meant that the U.S. had to prove their case and it didn’t appear to be a particularly strong one. Even the Toronto Star, that great bastion of left- wing propaganda, questioned whether McCallum’s actions were a gaffe or simply the truth. I for one, was willing to give this round to Trudeau, to give him a pat on the back for finding a way to wiggle between two superpowers, both of whom were exerting heavy pressure on him and on Canada. I believed it was a strategic move to which someone had given a lot of thought. But then, late yesterday, Justin Trudeau caved. He fired John McCallum and blew my theory all to hell. One has to wonder why? John McCallum is no neophyte. This is not his first rodeo. He is a consummate politician. He has served in key portfolios for more than one Prime Minister. He is not my brand of politician, but he is an experienced one. He does not shoot off his mouth indiscriminately. He does not stray easily off the beaten path. Unless with age, he is losing his marbles (which I doubt), he knew exactly what he was doing. So, what is really going on here? Did Donald Trump call up the Prime Minister and rake him over the coals for suggesting the U.S. had a weak case for extraditing Meng Wanzhou? Did he threaten Canada in some way? After all, the President has a pretty big bully pulpit and has never been shy about using it. As well, the President had just suffered his own setback with Congress in relation to the Government shutdown. When it came to “caving” maybe he wanted a partner! In my view, for Donald Trump, this whole business with Huawei and Meng Wanzhou, is not about the rule of law. It is all about politics and leverage. It is about holding a trump card (no pun intended) over the Chinese when it comes to negotiating trade. He is shamelessly using Canada to get it done and doesn’t give a damn if it ruptures Canada’s relationship with China. It would not surprise me at all if Trump put pressure on Trudeau to fire McCallum, especially since just earlier in the day, the Prime Minister had defended his Ambassador. It could be too, that John McCallum fell on his sword and took one for the team. He is of an age where he can retire with a very handsome pension. Maybe he was ready to come home. Maybe he facilitated getting the message the Government wanted to be heard by the Chinese, and then allowed himself to be fired, to allow Trudeau deniability when being chastised by Trump. A bit of a stretch maybe, but stranger things have happened in politics. As important as Canada is, it is still too small a nation to be at odds with China and the United States at the same time. Trump has put us in that position. I hold no particular brief for China but in this instance, related to the extradition of Meng Wanzhou, I hope our legal system prevails over Trump’s political maneuvering. I hope she gets off. And speaking of getting off……I am going to do just that for the next month. I am going to take a break, but we have some great guest columnists lined up for Listen Up. They are, Dave Wilkin, Kate Aben, Scott Aitchison and Bob Young. So stay tuned, and I will see you in March! A regrettable end to two decades of public service. He was a highly respected leading economist with the Royal Bank before running for office. 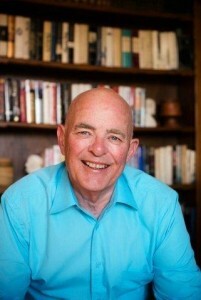 Re-elected several times, served in several cabinet portfolios. Handled the Syrian refugee issue delicately and effectively. Doesn’t exude charisma, but there’s no question of his commitment to Canada. The past week demonstrates vividly the adage that a public official is always one sentence away from disaster. One slip (or two) and snap-the guillotine falls with a flash. Indeed, to paraphrase Service, “there are strange things done in the political sun” (and even stranger things in the darkness). I honestly thought that Trudeau was backed into a corner: It is certainly not the mandate of any Minister to opine publicly on a matter before the courts; regardless of the fact that any thinking individual knew the truth in what he said. But kudos to you, Hugh, for unloosing the Gordian knot of the probable background. Mr. Trump had engaged in a lengthy stare-down with the Speaker of the House, and blinked first; thereby becoming the wimpiest President of all time (Dubya is popping a champagne cork somewhere). Just to imagine how the most misogynistic “leader of the free world” was feeling after backing down to a woman; humiliated doesn’t begin to cover it. For him to jump back into the fray, on another front, and damn the torpedoes is Trump-classic. But what this entire fiasco has done to Sino-Canadian relations on a go-forward basis may be far-reaching; and the clear and present danger to the Canadians being consequently held by the Chinese is unforgivable (and of course, not of Canada’s making). I’m not sure Trump blinked. The shut down did not look good on Trump or Pelosi but Trump did appear to make a better effort to come to an agreement. He scheduled 2 special public TV announcements, spoke about it daily and offered a DACA compromise. Pelosi could of ended it as well at anytime but she did nothing and offered no solution. Pelosi, Schumer and Obama voted in favor of the wall twice in the past so why not support the idea now? I kind of think Trump set her up when he “blinked”. He will shut down the government again on February 15th and will remind the public that she has still done nothing if she does not negotiate as promised. $5.6 billion is less then we spend in Afghanistan in 1 month. The US government and its tax payers would recover this cost in 1 year by eliminating social transfers they are obligated to for illegal immigrants and asylum seekers. Under the old NAFTA the United States racked up trade deficits totaling more than $2 trillion; so yes Mexico is paying for the wall many times over under the new agreement. China has been waging a very quiet war against the Western nations, and particularly the U.S., for at least two decades, Hugh. They have stolen Canada’s technology (there was a CBC documentary on how much telecommunications technology China stole from RIM). They are not our friend. However, they are not our particular enemy except for the relationship which we enjoy with the U.S. They are now exercising their military muscle in the South China Sea and some of China’s military officials have even dared to suggest that they might decide to blow up a U.S. carrier or two! In any kind of a diplomatic showdown (or any other kind), Canada will be squarely on the side of the U.S. That is a foregone conclusion. Canada has little wiggle room on that policy, and the U. S. has ALWAYS made that clear. That has been the case for at least a century. There are some advantages that come from living next door to the world’s greatest superpower, and there are some disadvantages The advantages come from the benign attitude that the U.S. government (including the Trump administration–although they are not that keen on Trudeau) has toward Canada. The disadvantages come from Canada’s destiny being tied to that of the U.S. It could be worse–we could be Israel, with enemies on every side. I wouldn’t worry too much about Israel; with every man, woman, and child in their army (save the very young and the very old). And the U.S. has its own oligarchy (more than 50% Jewish) who ensure that America would be drawn into any war on the Israeli side; in the unlikely circumstance that they needed any assistance. Now Japan is always in extremis in the short term. Of course, the States are bound to them forever, but they have no armed forces of any kind (excepting their Rangers) to combat anybody while they wait. It is simply stunning that a sitting ambassador would brazenly and publicly make the case for Meng’s appeal, or comment publicly at all on such judicial matters. John McCallum’s remarks were, simply put, a disgrace – one that smacks of political interference, politicization, and disinformation. His vocal defence of Meng, at a time when Canadians are being illegally detained and reportedly abused in Chinese jails, goes beyond simply being pro-Beijing; it is, in a word, un-Canadian.There is much wrong with McCallum’s comments. To begin with, he seems to prioritize giving comfort to China over U.S. relations, and resorting to the government’s preferred political tactic of blaming U.S. President Donald Trump. McCallum’s assertion that President Trump was attempting to politicize the extradition of Meng was judgmental at best.. The U.S. reportedly wants to extradite Meng not because of her involvement in the violation of current U.S. sanctions to Iran, but for violations of Obama-era sanctions between 2009 and 2014. And Canada (like most of the world) was part of this UN-mandated sanctions regime. By placing blame on President Trump, McCallum only seems to be serving China’s interests – by creating more discord among democratic, rule of law countries. It certainly doesn’t serve the detained Canadians. And it doesn’t serve the broader interests for Canada to establish a rules-based order. Beijing’s recent actions have revealed what the Chinese state is, and the risks it poses to Canada, to Canadians, to our economic interests, and to the international order. Despite Trudeau being an admitted admirer of Communist China’s dictatorship, Ottawa had finally seemed to understand this reality. Yet McCallum’s comments represent a return to Trudeau’s fawning attempts at engagement with China at any cost. This is yet another blunder, illustrating how bush-league and dangerous Trudeau really is. Just like his climate change posture, where he thinks he can have it both ways (i.e. fighting climate change and growing the economy go’ hand-in-hand’). Here, he thought he could both send a message to China not to worry, Canada understands/agrees with their side, and at the same time ‘appear’ to be respecting the US/Canada extradition treaty. Very stupid, and dangerous stuff. Why on earth would Trudeau think doing more business with China, already our 2nd largest trading partner, is a good idea? We already run a $36B trade deficit with them (the largest by far of any of our trading partners), they steal intellectual property, and are proven cheaters, with no respect for laws. Perhaps Trudeau believes in the old adage ‘lose money, but make up for it on volume’? ?